@ Marsha L - I agree that he needs an attorney, but she doesn't have to be so snarky. If I was a juror, it would not help his case. I am not really for the death penalty, but she makes it hard to want to give him life w/o parole. Geez. JH is such a con artist!! He's moving around more than he did the entire trial. Just like Anica's article pointed out!! They keep saying something may confuse the juy, but I think they are just confusing themselves byparsing each word. They not only see the trees in the forrest, they are trying to decide if each leaf should stay. The jury will see the forrest and understand more than they think. Keeping inmates from exercising outdoors for a prolonged period of time constitutes cruel and unusual punishment, according to a 1987 ruling by the 10th U.S. Circuit Court of Appeals, and American Civil Liberties Union Legal Director Mark Silverstein. 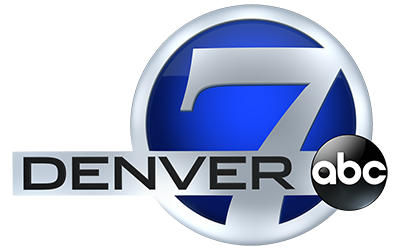 Therefore, Colorado's three death row inmates are being transferred to another facility that will allow them to exercise outside for five days a week, according to reports by the Aurora Sentinel and Denver Post. Last month the inmates were moved from death row at Canon City to the Sterling Correctional Facility, Colorado's Department of Corrections spokeswoman Katherine Sanguinetti said. The inmates are now housed in individual cells kept separate from the rest of the Sterling prison population and are allowed to exercise in an outdoor concrete courtyard. Before, the inmates' only access to sunlight had been their small and barred prison windows. Judge Samour is advising the gunman about his right to testify during each phase of the sentencing hearing. Gunman says he understands his right to testify and his right to make an allocution statement during phase 1 of the sentencing phase. Judge warns the gunman he would be cross-examined by the prosecution, saying it would be similar to how witnesses were cross-examined. The gunman says he will not testify in phase 1 of the sentencing hearing. I double dog dare you to testify JH! Why does JH stand during this advisements? will he testify? Who knows.?. If the gunman chooses to make a statement of allocution, he will not be cross-examined. He needs to speak. Hearing his voice, whether apologizing or otherwise, will give the victims and their families a human being to connect to. I can't explain why this is important, but it is. He needs to explain himself. Then, they will know exactly who they are putting the needle into. The gunman chooses not to make a statement of allocution. So glad we had the definition of allocution yesterday! Still wish the blog was a little more open, but it is what it is. I have learned a lot about our society from many of you, probably more than from the trial. Keep in mind, that any so-called "monsters" could be created by you, should they become insane or mentally ill. Hard to believe the cruelty directed to JH's family. Juries have been wrong many, many times in American history. I still believe he was in a complete psychotic breakdown from the testimony. That will only be known with the advancement of knowledge into mental illness. Nothing in life is static. I agree.... he needs to speak to the victims and the families. In fact, I think he OWES them a statement. @TammyC--Nice try on the double dog dare...too bad he didn't rise to the challenge. He's a despicable low-down coward! The Judge told the jury to not listen to any news or media about the case why would they yesterday out of the blue and risk things? What are the 3 phases? After the guilty verdict: What happens next in theater shooting case to decide James Holmes' fate? 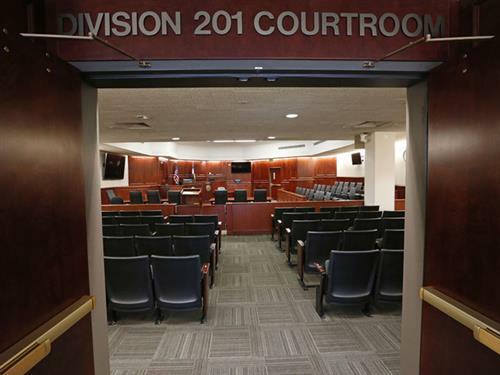 7NEWSNow that the gunman has been found guilty, the court is preparing to ask the jury to deliver the appropriate sentence. JH you are going to spend whatever life you have left incarcerated somewhere, please give the victims and their families what they need to hear. It will make no difference to you, it will make a huge difference to them. What makes her think that the jury is not aware that there was a ceremony on the 3rd anniversary of this tragedy? It is only logical that there would be at least one. I hv a problem w the video taped depo..regarding the date of third grade vs fifth grade. Was proof entered, of any other yr book which shows this supposed error in dates of teaching this defendant? If not, I think the depo should not come into evidence. The court should require proof he was actually his teacher in fifth grade not 3rd. I have a hard time with the defence and the fact of the memory that others show in the public. Litprof, I agree with you, but the prosecution would challenge anything he had to say. Blood is more important than truth, when someone is deemed a "monster". he is definitely a monster. He shed the blood. Again if anyone doesn't like the comments that have been approved you are able to change the setting to not see comments. I guess I look at him getting on the stand different... he's already said he did the killings and the PT proved the reason's why he did it... I don't feel that he is sorry that he did it so I'm not sure why him talking on the stand will help anyone?! I agree Tired and Suzanne. Some individuals, though the minority, want to try to change everything to suit their opinion. You are not a fool Phil!! @flip...I agree! Funny how he's all of a sudden not comatose now that he's been found guilty. Did anyone see the article about him switching religions to Muslim to try and justify to himself why he did the killings? tired. that is quite an assumption about why he isn't speaking. Not an opinion.